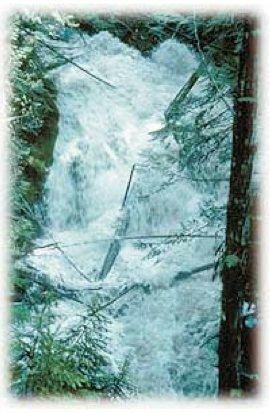 In the 2007 Spring issue of the LOG, FER printed a letter expressing concern over a water license application by Silver Star Resort on Vance Creek. FER was made aware of an application of a water license by residents living on Vance Creek. FER was provided assurances by government staff that the concerns raised would be taken into account by the Ministry of Environment when considering the application. On April 4th of this year, FER received a letter from the Ministry of Environment Water Stewardship Manager regional water manager, Ken Cunningham that the District of North Okanagan has been granted a conditional water license. Ken provided the following rationale to FER to indicate how he had taken our concerns over changes in riparian zone vegetation into account in his decision. Ken reasoned that the reservoir affects only a small portion of the Vance Creek watershed (2.5%) and that to ensure that the riparian zone is not affected, water can only be diverted from April 1st to June 15th after which the collection ditches must be set to pass all flows down the natural channel. The location of the Vance Creek ER is not shown on the water license map indicating the interception points and the dam and reservoir. The calculation of the size of the watershed and the location of the ER relative to this is also unclear as is the location of the Environment Canada gauging station on which the volume was calculated. We are still concerned about maintaining the integrity of the riparian zone in the Vance Creek ER. The ER management plan specifically refers to riparian zone representation as a management objective for this ER. FER Board will need to decide whether to pursue this further with the Ministry of Environment and seek additional details to satisfy that changes in flow are indeed very low risk to the ER. Whether riparian vegetation is affected by changes in spring flow may only be possible to assess based on vegetation monitoring. The Department of Fisheries and Oceans has requested a fisheries ‘presence and absence’ survey which Silver Star has apparently agreed to undertake. Silver Star will supply the results to MOE and DFO. Perhaps Silver Star can be asked to do a riparian vegetation baseline survey as well.